Located in the beautiful Black Hills, near Mount Rushmore, Whiting Hagg Hagg Dorsey & Hagg LLP is a full-service law firm, serving regional, national, and global clients. Our firm was founded in 1977 by Brian D. Hagg and the late Charles H. Whiting. 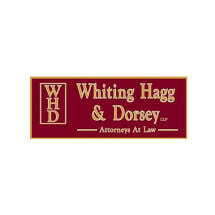 Whiting Hagg Hagg Dorsey & Hagg LLP is also comprised of three other very experienced and reputable attorneys; Rexford A. Hagg, John S. Dorsey and Kent R. Hagg. As the firm has grown, the areas of practice have broadened to include an array of legal needs. Our firm specializes in personal injury, worker’s compensation, commercial and corporate law, gaming, employment law, securities litigation, banking, elder law, construction, real estate, municipal and tribal law, criminal, immigration, aviation, human resources, litigation, trials and appeals, real estate, family law, international law, Russian/English language translations, compliance, due diligence and transactional law. Our proven track record shows our dedication and our passion for practicing law. We aim to provide the level of personal service associated with smaller firms and the high caliber of legal knowledge and experience expected from larger firms. The fact that most of our business comes from referrals speaks volumes and shows that not only are we successful attorneys but we believe strongly in customer service and the fair treatment of others. We have earned a reputation as a premier full-service firm. Integrity, determination, justice, persistent, solid, strong, committed and skillful are several words that come to mind if you were to describe our law firm. The attorneys at Whiting Hagg Hagg Dorsey & Hagg LLP have strong family values and are also proud members of the community and dedicated to serving and improving Rapid City. Many of the firm's members assume leadership roles and commit their time and energy to important community organizations.